Celebrate and Honor Reverend Dr. Martin Luther King ! As chief spokesman of the movement to end racial discrimination in state and federal laws in the 1950s and 1960s, King organized several marches and peaceful protests. In 1963, he organized the famous March on Washington, which was memorialized in 2013 by President Barack Obama on its 50th anniversary. Here, King delivered his famous "I Have A Dream" speech. A year later, on October 14, 1964, he was awarded with the Nobel Peace Prize for combating racial inequality through nonviolence. Tragically, on April 4, 1968 he was assassinated in Memphis, Tennessee at the young age of 39. Posthumously, King was awarded the Presidential Medal of Freedom and the Congressional Gold Medal, and we observe Martin Luther King, Jr. Day annually to honor his courageous work towards freedom and equality. The Martin Luther King, Jr. Memorial was erected in Washington, D.C. in 2011 with a sculpture and inscription that reads, "Out of a mountain of despair, a stone of hope." The quote is from his "I Have A Dream" speech. On Monday, January 21, 2019, Miami joins in this federal holiday with the Martin Luther King, Jr. Day Parade & Festivities in Liberty City. The parade takes place along NW 54th Street on a route from NW 10th Avenue to NW 32nd Avenue, starting at 11 a.m. with festivities until 6 p.m. It ends with a celebration at Martin Luther King, Jr. Memorial Park with live music, dance and theatrical performances, as well as a crafts marketplace, food vendors and childrens' activities. 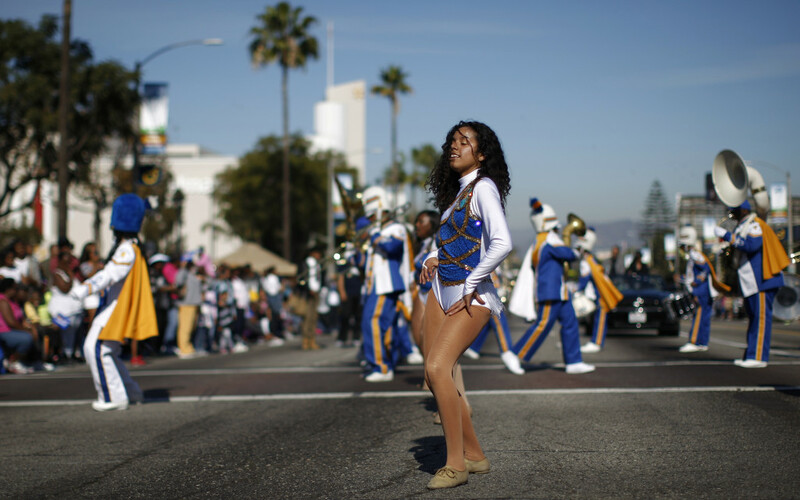 Parade-goers can expect high school marching bands, athletes and cheerleaders on foot, floats, cars and fire trucks bearing local politicians, union leaders and activists - and, for a Caribbean twist, Carnival dancers take to the streets for a dance and musical performance. Once the parade reaches the park, revelers will enjoy food, activities for kids, and a variety of vendors and entertainment. Martin Luther King, Jr. Day is an important time to reflect on the journey our nation has taken towards freedom and equality, and to look at the work that still lies ahead. As Dr. King once said, "The arc of the moral universe is long, but it bends towards justice." On this day in Miami, and across the nation, we honor and strive towards his dream.